Melissa Seymour: Hi Kathrine! Tell us a little bit about yourself and what you do. Kathrine Switzer: While I was never a ‘professional’ athlete, it is running that shaped my life and is still a kind of hub of my life. From that has come a profound determination and activism to empower women everywhere and help them achieve equal status in society. Running helps do that, or at least realize many inequities. I mostly earn my living as a speaker and also a TV commentator, but I am asked every day for my opinions; this questionnaire is another example. I am a journalist by training and by passion; next to running (and my husband!) I love to write and find that the most fulfilling thing for me. I have authored 4 books –‘Running and Walking for Women Over 40’ (2 editions, first in 1998; 2nd a re-vamped and updated E-book version launched last week), my memoir ‘Marathon Woman’ and co-authored with my husband Roger Robinson, ’26.2 Marathon Stories’. 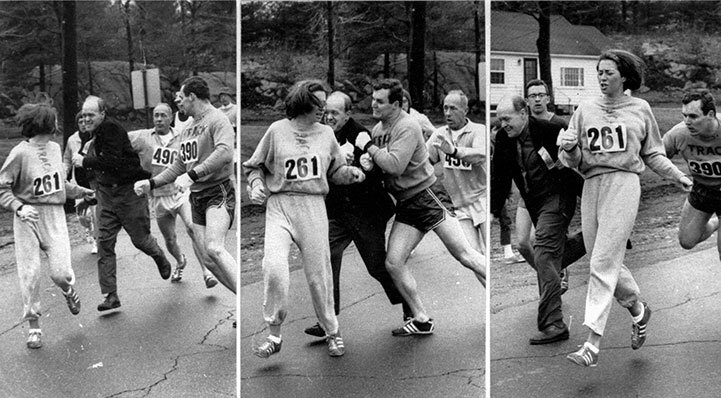 MS: What was it like running the 1967 Boston Marathon? MS: How did that moment change your life? KS: In short, it changed my life completely—and it therefore changed millions of women’s lives around the world. It gave me a sense of vision, even radicalized me, and gave me a life plan. Running a marathon always changes your life, but this was a particularly massive change. MS: What was it like being featured in the documentary The Makers? KS: Overwhelming. First to be in such legendary company. And also because I had no idea that they would use so much of my interview and that I would open the whole show. But what happened to me in the Boston Marathon was a dramatic example of an ‘awakening’, and the first part of that Makers documentary was about how we see things often for the first time, when a moment of total clarity flashes on like a light. Makers was important to me; it took my story to many thousands of people. MS: What’s a motto you live by? KS: Be Fearless. Be Free. Be grateful. MS: Could you tell us a little bit about your new book? Why did you decide to write it? 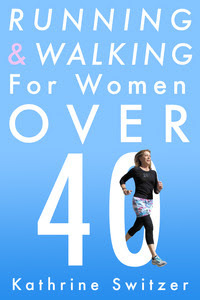 KS: It’s an updated version of my first book, ‘Running and Walking for Women Over 40,’ which sold well and continues to sell, but now is 17 years old. So an updated version was important and it was also important to do this as an E-book, with so many millions of women entering running at 40, 50, 60 and even 75 years of age, they are needing current advice. We’re into whole new generations. It is phenomenal seeing these women run and walk—some for the first time, some who are just getting older. They are changing their lives and living so well and happily. They inspire me! Older women love E-books as they can enlarge the type. I loved this edition as I put in a lot of photos of women who just did the impossible after age 40, and it is cool to see their photos, as well. MS: What advice do you have for other women going into careers/sports made up primarily of men? KS: That if you are personally fit and prepared yourself, you will have a sense of empowerment that nobody can take away from you. And when you feel this way, you can meet men on equal and friendly terms and work well as a team, and not be intimidated. Most people, men too, are perfectly companionable when you are not defensive and know your stuff.